Please click the links below to see what parenting programmes are available for you. If you would like any more information, please call in and see me. The SBAP are the Schools Behaviour and Attendance Partnership and work with 23 schools across Sutton, Kirkby, Skegby and Huthwaite. They are a small team that can offer support to children to help them reach their full potential. They work in partnership with schools, health professionals and parents. The SBAP are funded by Nottinghamshire County Council and other local partnership schools. If you are interested in attending any parenting programmes, click the link below to see what is on offer for you. If you are unsure about any of the parenting programmes available, please call in to see me so I can discuss this further. What is the Small Steps Service? Small Steps is a service providing early support and evidence-based interventions to families of children and young people displaying behaviours that cause concern or challenge. Support will be available where there is no formal diagnosis of ASD or ADHD, but where behaviours may be challenging. This service is also for families of children and young people diagnosed with ASD or ADHD. If you are concerned in any way about your child's behaviour, Small Steps offer a parent/carer drop in session and there is also a support line you can call for support and advice. Alternatively, you can call the school office to make an appointment with myself. 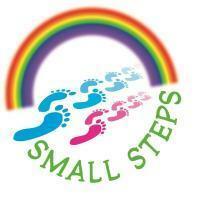 Please click on the link below for more information about the Small Steps Service. All the content has been produced by our health experts, often re-written from other trusted NHS information such as NHS Choices. The website is primarily a health promotion website, covering subjects that promote a healthy body and mind. It is not about managing serious illnesses for which more specialist websites already exist. Click the link below and you will be directed to the 'Health for Kids' website. Health for Kids Website Health for Kids is a fantastic resource for health-related subjects for children aged 4-11 years. Exciting activities to enjoy with your child, advice to support their development and lots of other fun stuff. Please take a look at the Parents & Carers section of the 'Health for Kids' website for up to date news, announcements and services in your local and surrounding areas.